What could be easier than sending a gourmet gift basket for any special occasion on your calendar? 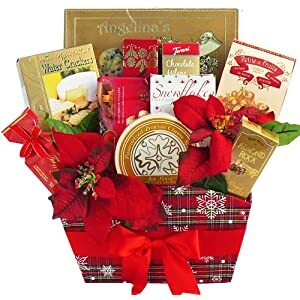 It is the easiest gift basket to make of them all, since you don't need creative skills or a heap of imagination is to gather some sealed food items from the supermarket and combine them into a gourmet gift basket. When putting together gift baskets for Christmas, especially for people I don't know very personally, or for business associates, I always find this is the answer for me, and I can whip up 20 or 30 of these in a day or two without much fuss. Whatever items you choose can be tweaked to fit the recipient’s likes, personalities or situation. If you don't have the time or inclination to go shopping and assemble your own creations, just get them pre-made, ordered online and delivered to the door of the recipient. What could be easier than that? 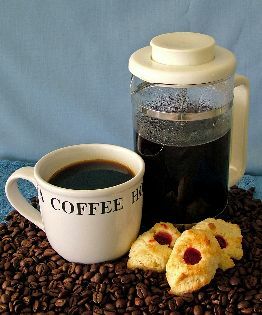 Say, “I love you” with a gourmet gift basket filled with his or her favorite things. A champagne gift basket will let him know you’re thinking of the anniversary celebration to come – a spa gift basket with candles and lotions lets her know you really care. If friends or family are celebrating an anniversary, take into consideration what they enjoy. For example, if they’re grilling enthusiasts, send them a gourmet gift basket filled with marinade and grilling tools. 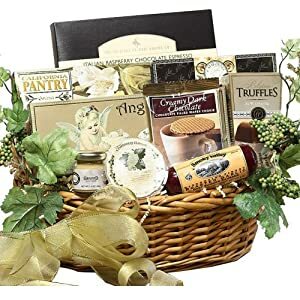 A sympathy gourmet gift basket can take the place of casseroles or cakes and let them know how much you really care about their loss. A gourmet gift basket filled with fruit and other edible items might save them a trip to the store when they really don’t feel like going out. When a person receives a gourmet gift basket from you for no reason in particular, you’ve hit the jackpot. The smiles and accolades for your thoughtfulness will make your heart nearly burst with pride. Anything goes for a non-occasion gourmet gift basket. Artisan cheeses, fruit, spa items, wine and champagne are all suitable to send to anyone you love or appreciate. The pet may not be impressed, but the owner of the pet will love opening a pet gourmet gift basket filled with items such as toys, snacks and food items for a cat or dog, collars and even shampoo. And, don’t forget to send a sympathy gourmet basket to a pet owner who’s experienced the death of their beloved animal. Do you know someone who craves chocolate – or a wine connoisseur? A food gourmet gift basket can be the answer to all of your gift giving concerns. A basket packed with calming teas, teapot and teacups is unique and special. Choose a gourmet chocolate like Godiva and add a bottle of wine, crackers and cheese to make it really special. 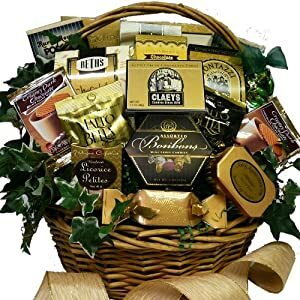 A gourmet gift basket can be sent to anyone, any time and for any occasion – or no occasion. Shop online to choose everything you want and experts will create a masterpiece of a presentation that will be remembered for a long time.